Posted on February 22, 2014 by Cynthia G.
Robbie sat on a small reed mat on the ground, his back propped against the base of a date palm tree. He ate a handful of dates and took small sips of water from a plastic Evian bottle. The sun scorched the earth almost everywhere else in this Godforsaken country, but right here in the Al Hawizeh Marshes life was lush and fecund, the river teeming with otter and minnows, and date palms lining the banks. An auger lay next to him and a cylindrical shaped mass of soil next to the auger. Robbie analyzed the soil column against the Munsell Soil Color Chart and noted the lengths of the A, O and C horizons indicative of a hydric soil in his book. He squinted against the harsh sun and scanned the horizon. Something small and swift approached, a mashuf with a single occupant, poling the boat through the marsh water: plant, pull, plant, pull, no struggle, no rush, just a sense of purpose with each movement. A light breeze blew across Robbie’s face and he raised his nose to sniff the air. The figure was closer now and he stood to get a better look. A woman. She didn’t wear the abayas, the traditional black head-to-toe coverings of the Iraqi women, but the garb of a western university student: jeans and a t-shirt. He hesitated a moment before sitting back down. The way the military came through this place, one could never be too careful. But the military wouldn’t send a civilian or even an officer out of uniform to arrest him. It was probably somebody from Eden Again coming to help him take soil samples. He popped another date in his mouth and waited as the boat drew closer. If this country had taught him anything, it was patience. Out here, life had made peace with time. But the truth was, here, like everywhere else, time was running out. The sun cast a glare on the water making it impossible to see the woman’s face as she alighted onto the shore. She towed the mashuf another two feet out of the water so it wouldn’t drift away and Robbie thought he should stand or call out, offer a greeting of some sort, but his arms and legs felt weighted to the ground and his voice a sorry deserter. The woman walked right over to Robbie as if she’d known him forever, as if she’d known he’d be sitting under a date palm tree in the middle of the Al Hawizeh Marshes, eating flat bread and hard cheese, waiting. He held his hand up to shield his eyes from the sun. Within a foot of him, her silhouette eclipsed those rays and he was able to make out her features. The vision made him choke. Ruth raised her hand to silence him. “We don’t need to say the “D” word, Robbie. It’s so… inconsequential. I mean, compared to other things.” Confusion swept across Robbie’s face like a push broom, leaving ragged trails its wake. He started to wheeze. Ruth grabbed his bottle of Evian and handed it to him. “Are you all right?” Robbie took a long drink from the bottle and rubbed his eyes. “You look wonderful, baby,” Ruth said. “Could it be this work agrees with you?” She knelt down and touched his cheek. He flinched. She drew him in, wrapping one arm around his neck and patting his back with the other, just like she used to when he was little. For the next few minutes, Robbie cried: tears of grief and joy, long lodged in his heart and big as dates; tears that carried the sum total of his collective heartache, and of the absolute terror he’d felt every day since his plane touched down in this dry wasteland that only the last few weeks in the marshes had helped to dissipate; tears that every child saves up, be it minutes or weeks or lifetimes, to drop in their mother’s lap because only she knows how to dry them. Had he channeled those tears, Robbie could have re-hydrated the entirety of the Central and Al Hammar Marshes. Instead he stopped, dried his eyes and look into his mother’s eyes. Robbie nodded, took a deep breath. Ruth pushed back his hair and cupped his cheek in her hand. 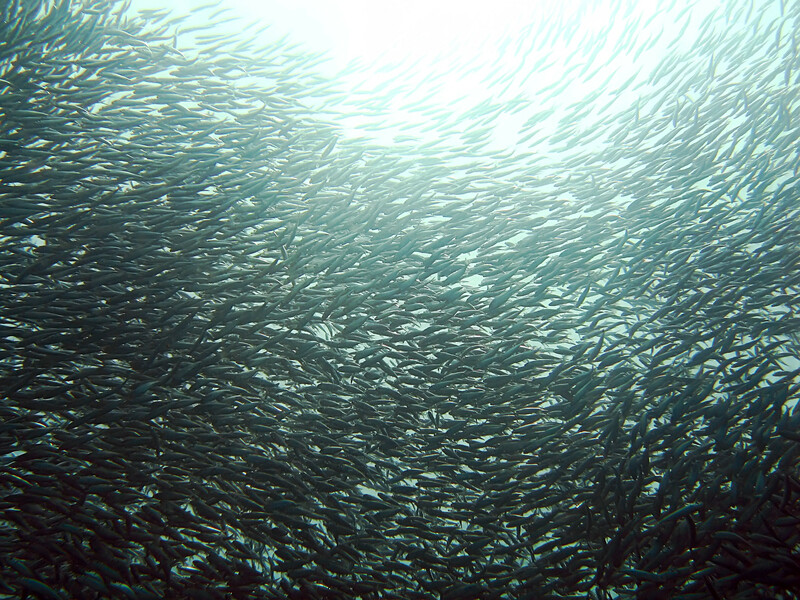 A small splash indicated of a school of minnows nearby and Robbie turned toward the noise. The midday sun sat high in a cloudless sky, unblinking, unmerciful and most undervalued. Robbie pulled the turban down to his eyebrows and mopped the sweat on his brow before its saltiness stung his eyes. “What a completely underused resource,” he said, looking up at the sun. “You mean to me and Dad?” Ruth said. Robbie nodded. Ruth searched his face before responding. “Does it matter? If you knew, you’d want to do something about it and there’s really nothing you can do. We think we’re in control. We strive and struggle and build our little empires to assure our safe passage. But life wrenches control from us every time.” Ruth stood up to face her son. Robbie shrugged, picked up a spade and plunged it into the moist, fecund ground. Ruth watched as he dug a small hole. “Six months ago, this dirt was dry as the Sahara. We did this. The Americans. By getting rid of Saddam, some of these people got their water back. A few anyway.” He dropped the spade and picked up the auger. “So it couldn’t have all been for nothing, right?” He twisted the auger back and forth, pushing it deeper and deeper into the ground. Ruth shrugged. “On its face, nothing is good or bad. It just is. She pulled Robbie to her, wrapped him in a bear hug. “The only constant in life is change, Robbie. Have the wherewithal to go with the flow.” Ruth waved her hand over the flowing, abundant marshes. “I suspect you might learn a great deal about it here.” She smiled, then turned and walked to the mashuf. Ruth smiled and pulled him in for another hug, this one soft and gentle. She smoothed back his hair and wiped the tears that fell from clenched eyelids. “Not all who hesitate are lost,” Ruth said. “Robbie… my first born.” Ruth’s eyes locked with his; Robbie could have held the moment forever. “I’m as close as your next thought.” She blew him a kiss and pushed off the shore. Robbie watched her turn the mashuf around and pole away. He waved until she melded into the horizon. Robbie returned to the auger, pulled it out of the ground and laid it down carefully. He released half a cylinder’s worth of soil, making sure to keep the column intact and went back to the hole for another half, sniffling all the while. “What’s the matter?” Gil asked. Gil nodded in the opposite direction. Amara watched Robbie sleeping in the stern of the mashuf. In the time he’d been in Iraq his skin had turned a deep golden brown, weathered by sun and wind, a fact that probably saved his life on more than one occasion. That he looked like one of the Ma’adan when wearing the traditional robes and head scarf, and that he’d mastered the language in his short time here had helped him escape unnoticed from the various American and British troops that periodically patrolled the area. Amara knew his life was in danger. She had no doubt that he’d be subject to a court martial and forced to stand trial for going AWOL, or worse, letting the army think he was dead. And so she brought him here among her people, her father’s people, these people who governed by consensus, people who the Americans and Europeans considered lawless, people who desperately needed Amara’s and Robbie’s help before they were wiped off the face of the planet. Robbie murmured something in his sleep and Amara pushed at him with her toes. He mumbled again, opened his eyes and looked at her blankly. “Such the dreamer you are,” Amara said and tugged at Robbie’s head scarf. You were talking in your sleep.” She tossed a canteen to him. “Drink. For I think you must be stroked by the sun.” Robbie said nothing, just smiled and took a long drink from the canteen. “Thank you,” he said, handing it back to her. “What were you dreaming about?” Amara asked. Robbie smiled and raised his head to see where they were going. “How about I drive for awhile, Uncle?” Robbie said. Sayyid nodded and handed off the pole. Robbie took his place at the stern. This entry was posted in blogging, books, fiction, nature, water, writing, YA novel and tagged alternative energy, coming of age, conscious living, eco-thriller, sustainable living by Cynthia G.. Bookmark the permalink.